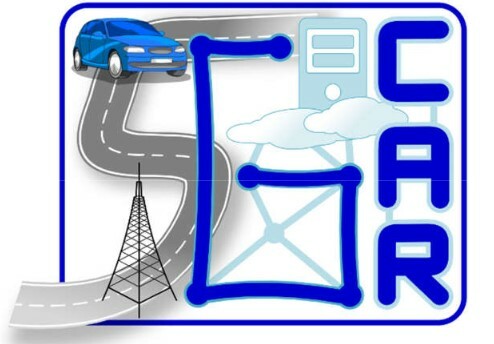 5GCAR advances the frontiers of wireless communications technologies for automotive to meet the future societal challenges and expectations in this domain. There are several aspects that need to be addressed. For instance, it is needed to develop an overall 5G system architecture which can provide V2X communication services with high reliability, low latency, and strong security and privacy. Further, it is also needed to integrate existing communication systems with novel, high-performance 5G solutions which add new communication schemes exploiting direct, infrastructure-based and multi-link communication among vehicles and other entities. It is also needed to propose very accurate 5G radio-assisted positioning techniques for both vulnerable road users (pedestrians, cyclists, etc.) and vehicles. Beyond the technical challenges, it is also needed to understand the new business ecosystem being created around the telecom and automotive sectors, to define new business models and evaluate the existing spectrum usage alternatives that will support a wide range of 5G V2X services. 5GCAR will have significant and timely impact on the standardization efforts of communication technologies for automotive. M. Fallgren, M. Dillinger, J. Alonso-Zarate, M. Boban, T. Abbas, K. Manolakis, T. Mahmoodi, T. Svensson, A. Laya, R. Vilalta, Fifth-Generation Technologies for the Connected Car: Capable Systems for Vehicle-to-Anything Communications , IEEE Vehicular Technology Magazine, Vol. 13, No. 3, pp. 28-38, September 2018. R. Vilalta, S. Vía, F. Mira, R. Casellas, R. Muñoz, J. Alonso-Zarate, A. Kousaridas, M. Dillinger, Control and Management of a Connected Car Using SDN/NFV, Fog Computing and YANG data models , in Proceedings of IEEE Network Softwarization, 25-29 June 2018, Montreal (Canada). A. Zafeiropoulos, P. Gouvas, E. Fotopoulou, G. Tsiolis, T. Xirofotos, J. Bonnet, G. Carrozzo, S. Rizou, A. Gavras, M. J. Barros, X. Costa-Perez, A. Prasad, M. Gramaglia, A. Tzanakaki, D. Simeonidou, J. Cosmas, M. Fallgren, R. Muñoz, R. Vilalta, Enabling Vertical Industries Adoption of 5G Technologies: a Cartography of evolving solutions , in Proceedings of European Conference on Networks and Communications (EUCNC 2018), 18-21 June 2018, Ljubljana (Slovenia). R. Muñoz, R. Vilalta, N. Yoshikane, R. Casellas, R. Martínez, T. Tsuritani, I. Morita, Integration of IoT, Transport SDN and Edge/Cloud computing for Dynamic Distribution of IoT Analytics and Efficient Use of Network Resources , IEEE Journal of lightwave Technologies, Vol. 36, No. 7, pp. 1420 - 1428, April 2018. M. Fallgren, M. Dillinger, A. Servel, Z. Li, B. Villeforceix, T. Abbas, N. Brahmi, P. Cuer, T. Svensson, F. Sanchez, J. Alonso-Zarate, T. Mahmoodi, G. Vivier, M. Narroschke, On the Fifth Generation Communication Automotive Research and Innovation Project5GCAR – The Vehicular 5G PPP Phase 2 Project , Proceedings of the European Wireless 2017 , June 2017. R. Vilalta, R. Muñoz, R. Martínez, R. Casellas, Fog Computing and the connected car , in Proceedings of Wireless World Research Forum Meeting 39 (WWFR39), 18-20 October 2017, Castelldefels (Spain). R. Vilalta, S. Vía, F. Mira, L. Sanabria-Russo, R. Martínez, R. Casellas, R. Muñoz, J. Alonso-Zarate, Control and Management of a Connected Car Using YANG/RESTCONF and Cloud Computing , in Proceedings of the 8th International Conference Network of the Future, 22-24 November 2017, London (UK).